commented on "POPE FRANCIS AND ALL HIS BISHOPS, PRIESTS AND NUNS MUST BE PUT TO DEATH BY BURNING! SO DO WITH MUSLIM CLERICS OR IMAMS, AS WELL AS ..."
IGLESIA NI CRISTO - Rocket or Racket? POPE FRANCIS AND ALL HIS BISHOPS, PRIESTS AND NUNS MUST BE PUT TO DEATH BY BURNING! SO DO WITH MUSLIM CLERICS OR IMAMS, AS WELL AS BUDDHIST MONKS. 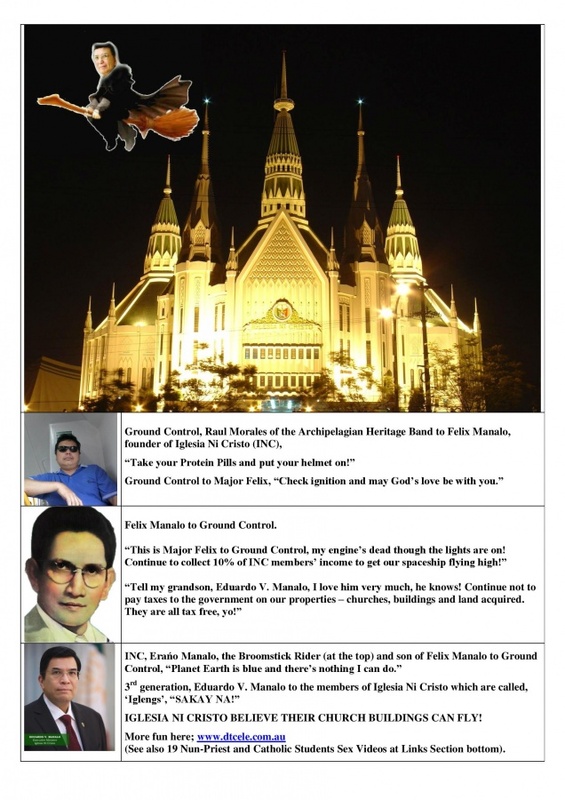 ALSO, IGLESIA NI CRISTO MINISTERS, HINDU GURUS AND MORMON ELDERS, THEY MUST BE SENT TO HELL BEFORE THEY SEND YOU THERE! IN THIS WAY, MONEY LAUNDERING STOPS. False prophets or Teachers of Demonic Religions must not go unpunished. God is pouring out His wrath to people because of them. They don't do any good to you or your country. They are the cause of your disasters! Not only that they take your money or belongings, they send you and your love ones to hell! The Truth is Jesus Christ, whatever He said regarding His Father, God that is what we follow and obey. We don't follow Scriptures written by Mere Idiots - Mohammed and other prophets of Islam, Catholic Saints of the Dead, Buddhist Monks, Hindu Gurus, Moroni and other prophets of the Mormons, Iglesia Ni Cristo Spacemen, etc. People across the globe, people of all languages, pay attention, all Religious Racketeers, Swindlers, Scammers, Tax Evaders, Land Grabbers, Sorcerers, all those who practice divination and all those who do evil using God's name or Christ's name must be burned. Not by firing squad, lethal injection, hanging or by electric chair that you should kill them, burn them! Glory, be to God. Come, Lord Jesus Christ.